A fabulous womens trainer shoe from Irregular Choice! 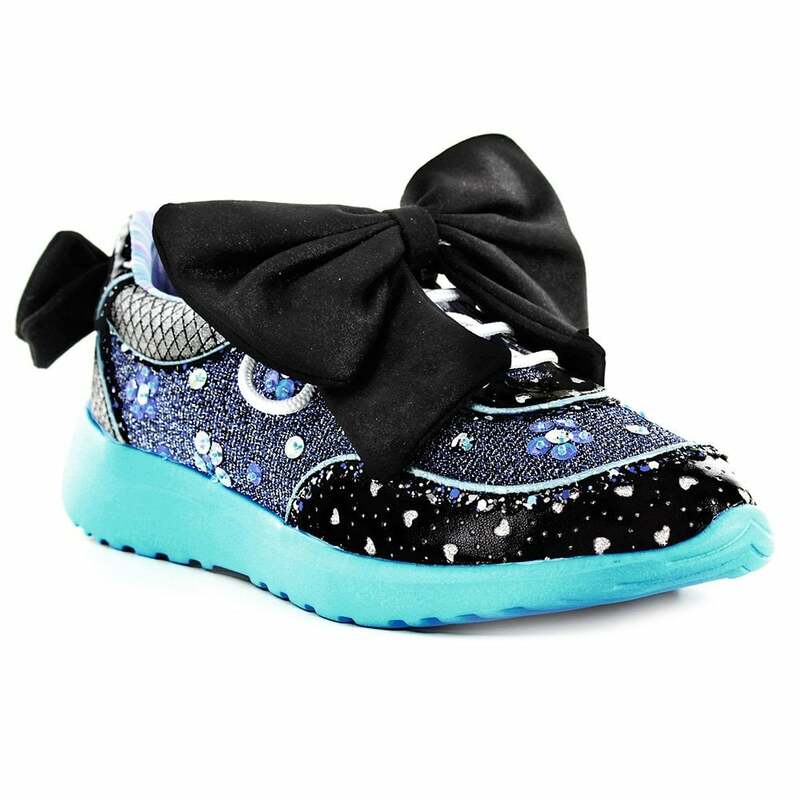 These cute trainers come with a glitter upper adorned with iridescent sequins, laser cut out love hearts, and detachable bows that you can thread through the laces to create your own design! Wearing these fantastic Irregular Choice Jazzy Jane 4473-06B Womens Fashion Trainers are sure to get people talking! Get your pair today at Scorpio Shoes!